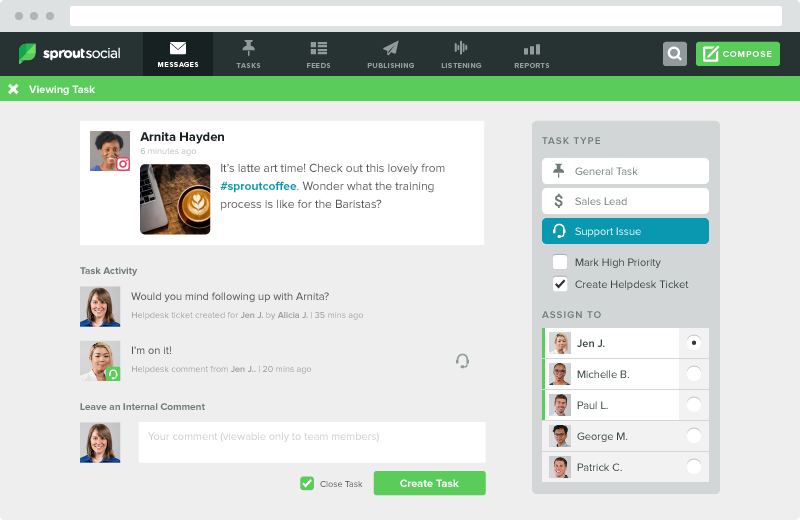 Sprout Social’s powerful social customer care functionality now integrates with the HubSpot Service Hub. This integration requires both Sprout Social and HubSpot. Learn more. 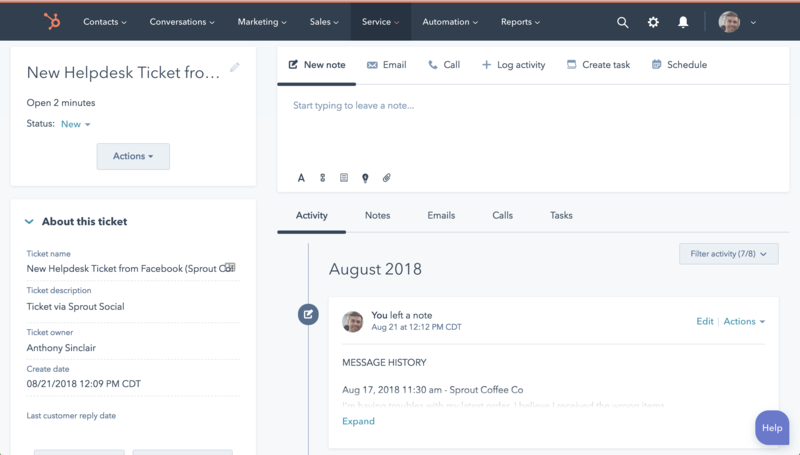 Connect HubSpot Service Hub to Sprout to collaboratively solve support issues across your organization. Support agents who work exclusively in Service Hub can use bidirectional, internal communication to resolve issues with social teams who actively work within Sprout. Enable your internal and agency teams who work on your support and social efforts to create, track, manage, and resolve issues without leaving their respective dashboards. 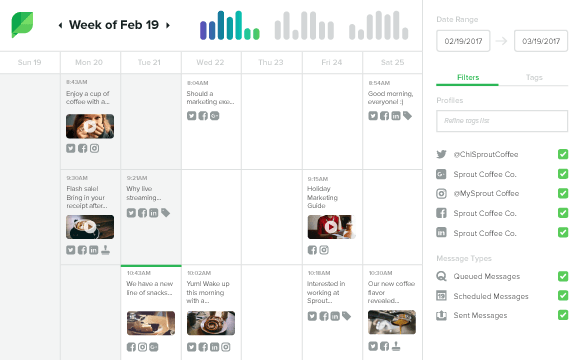 Sprout’s social media management platform makes it seamless to bring social teams of all sizes together across content creation and distribution, customer care, and measurement initiatives.